Color Them "Air Superiority Blue"
After the squadron-bonding camaraderie of flying in formation with sims like Falcon and Strike Commander, it comes as something of a shock to find yourself all alone over enemy territory, flying solo missions in MicroProse's F-15 Strike Eagle III. Also, the mission objective here is altogether different: McDonnell Douglas' F-15E Strike Eagle (sometimes called the "Beagle," a contraction of "Bomber Eagle") is dedicated to the ground-strike role. Not that the two-seater version of the F-15 can't prevail in a knife fight when the occasion demands: when challenged, an F-15E has only to drop its ordnance to become as deadly and maneuverable as its single-seater sister ship. And not that Eagle III leaves you with nobody to talk to: its strong multiplayer mode makes it easy for the single player to find a soulmate. Let's examine the program…and the aircraft…in detail. The origin of the F-15 is mired in politics and misunderstanding. Up until the McDonnell F-4 Phantom, the Air Force (and, earlier, the Army Air Corps) and the Navy had each insisted on having its own aircraft types. The F-4 was originally developed for the Navy for fleet defense, as a kind of combination AWACS (Airborne Warning and Control Systems; an electronic "eye in the sky") and weapons platform to launch BVR (Beyond Visual Range) missiles at any strategic threat that got within forty miles of the carriers—which themselves would be free to go about their business of launching and recovering lesser aircraft to do the dirty work of sinking ships or dogfighting or supporting Marine landings or whatever. As it turned out, the F-4 was a great airplane—certainly the best fighter-bomber since World War II—and when the Air Force got caught out in Vietnam, the Phantom was pressed into service as an air-superiority fighter. (It was also flown by the Marines; the only aircraft ever to fly for all three services.) The Air Force was unprepared for Vietnam because it never got around to designating a suitable successor for North American's Korean-era F-86 Sabrejet and F-100 Super Sabre. Northrop's spunky F-5 Tiger was deemed too dinky for the role of air-superiority fighter, and the Air Force never thought enough of Lockheed's F-104 Starfighter to buy many of them for its own use (although we sold hundreds of them to our allies). Then along came Robert McNamara, JFK's secretary of defense, who aggressively pursued a "one size fits all" philosophy, which resulted in the much-abhorred General Dynamics F-111 Aardvark's being rammed down the throats of the Air Force and the Navy. (The Navy coughed it back up; the F-111 has since acquitted itself well in Air Force hands, most notably in the Libyan Raid during the Reagan era.) Fed up, the Air Force not only demanded its own fighter—subsequently the F-15—but also made a fuss about trying to foist a variant—the F-15N—off on the Navy. The Navy turned up its nose and commissioned Grumann's F-14 Tomcat instead. With me so far? Good. Congress turned a deaf ear to the Air Force's demands until one fateful day in the summer of 1967 when the Russians rolled out the MiG-25 (NATO name: Foxbat) on the tarmac at Domodedovo, near Moscow. 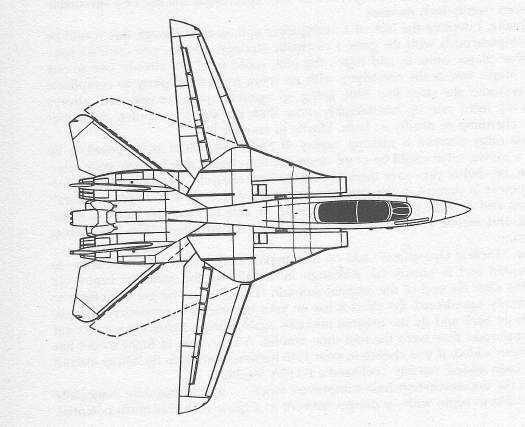 In a truly ingenious disinformation campaign, the Air Force insisted the MiG-25 was Russia's air-superiority fighter. On paper, the Foxbat looked formidable: a cruise speed of Mach 2.5+ at an altitude of over 80,000 feet. The evil-looking MiG was so scary that Clint Eastwood even made a movie about hijacking one for the Air Force to dissect. Congress soon caved in and appropriated funds; suddenly the F-15 program was a go.